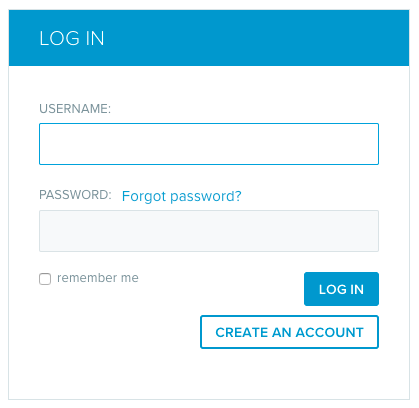 Quite recently I had the chance of implementing a log-in/authentication system for one of our mobile applications. Resources available for both the Android and iOS eco-systems are fairly exhaustive but comparisons of the pros and cons of each and every one are not readily available, at least not of the type I would like. What's being described here will assume that you have a stack involving a web API along with mobile apps that require connecting. Before showing the implemented solution we'll go over the various issues regarding authentication. With the rise of the open OAuth standard came also the idea of simplyfing the process of logging in. Instead of manually implementing an entire authorization system, the crucial part is being delegated to a centralized server (henceforth service). The way this standard is being applied nowadays is that the application (i.e. the web or mobile application you're attempting to log into) makes use of some commonly used platform, like Facebook, Google, Twitter or in certain more specific cases LinkedIn or Github as the provider for OAuth. OAuth was published as a protocol by the Internet Engineering Task Force (or IETF for short) back in 2010 and has ever since then been gaining ground. There are numerous possible downsides to implementing OAuth as your method of authentication on mobile platforms, but I will be naming only a few that I've personally encountered. The issue presented itself while implementing an OAuth service for a native iOS app (more specifically, the implementation included OAuth for the Facebook/Google/LinkedIn trio). Rather than encountering a problem with the service itself, the unexpected problem that confronted us was Apple. That is, Apple's App Store Review procedure. Apple doesn't want you to use OAuth merely for logging in if you don't use any other feature provided by said service (e.g. logging in via Facebook just for the sake of logging in). If your core app functionality is not related to a specific social network (e.g. Facebook, WeChat, Weibo, Twitter, etc. ), you must provide access without a login or via another mechanism. Pulling basic profile information, sharing to the social network, or inviting friends to use the app are not considered core app functionality. But you're still in violation of Apple's policy. While it does seem like an annoyance, there are probably good reasons for this and the privacy-loving folk ought to admire Apple's stance on this issue. Since rolling out OAuth solely for the purposes of having a login was verboten, the choice from here on was either we implement some entirely unnecessary feature for our app, or - maybe, just maybe - we drop the OAuth system and do something different. Some users might consider it a breach of their privacy if a recently installed app - one they're merely testing - already asks them to hand over their personal information. They might not want to hand over their personal and identifiable data over to us. And we should not be punishing them for that. And it's precisely what we need to implement a simple-to-use system where users do not have to go through hoops. So how did we implement a workable solution with JWT? Here's how. After carefully considering the various pros and cons we ended up with the following. The rest of the web end of the implementation is irrelevant for the purposes of this post. Depending on one's wishes, one might continue using OAuth only for their web application (but implement our mobile-specific backend). Some authentication implementations even go a step further. For example, they might send their users a newly-generated login link via email, valid only for one session. This however seemed a tad too convoluted for our purposes. Or rather, it was something we simply did not need. An additional upside of our implementation is that a user immediately gets to use their application as a full user. They're not being treated as a guest. They're treated as a user immediately upon launching the app and they're securely authenticated with full-fledged access. Our mobile app stores a token on the client's device. In the case of Android, we're using a SharedPreference as the data store for our token. We're skipping this hook on the handshake method since we use that controller method for initializing the environment of our newly created accounts (that's where we generate some default data commonly used by our users). We then attempt to verify the user. If no user can be found, we can issue a new account for the user. The client app will then fetch the new token and store it inside of the SharedPreference on the client device. This simplifies the procedure as all three cases (correct token with existing account, incorrect token for whatever reason that may happen, and no token) are handled in a similar fashion - a user will not have to go through the process of manually registering. They will simply get a new account. We'll then save the token on the mobile device and do an account sync. Now back to our backend implementation of JWT. And the rest of our JWT auth controller can be seen over here.